Sir Alex Ferguson was a Scottish Football manager, born 31 December 1941 in Govan, Glasgow. After a successful spell at Aberdeen, Alex Ferguson moved to Manchester United in 1986. 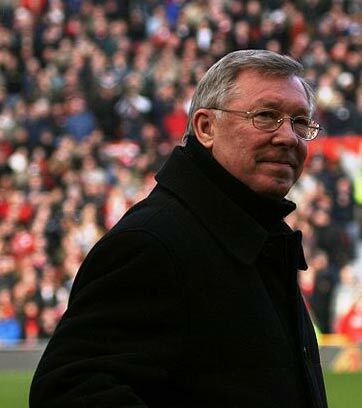 Ferguson led the club to an unprecedented series of success – revitalising the club and becoming one of the most successful managers in the modern game. He is renowned for his ability to motivate key players and blend stars into a team. He has also had frequent run-ins with referees for his outspoken criticisms. 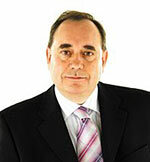 Alexander Beaton Ferguson was born in Govan, Glasgow on 31 Dec. 1941. His father was a shipbuilder. He grew up in a tenement on Govan Road, and he always remembers his working-class roots and relative poverty the family faced. He is one of the Labour parties biggest financial supporters. He attended Govan High school, but was not interested in studying and at the age of 16, started his amateur playing career, making his début for Queens Park. He was a promising striker but struggled to be a regular in the team. He moved to St Johnstone, and again was fighting for a place in the team. At one point, his failure to secure a regular team slot left him considering moving to Canada. 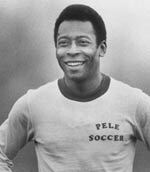 However, in 1964 he signed professional for Dunfermline. The 1965-66 season was a breakthrough year for Ferguson scoring 45 goals in 51 games. This led to him being bought by his childhood team Rangers for £65,000. Ferguson then moved to Falkirk and Ayr, before retiring at the age of 32 in 1974. Almost as soon as he finished his playing career, he was offered a chance to move into football manager – despite his very young age of 32. His first club was East Stirlingshire on a part-time basis. That year he moved to St Mirren, where he was the manager from 1974-78. The club achieved promotion to the First Division and revitalised their performance. However, in 1978, he was sacked by St Mirren, allegedly for allowing unauthorised payments to players and breaching his contract by going to Aberdeen. In 1986, he was approached by many leading clubs, and after a brief stint as manager of Scotland, he accepted an offer to move to Manchester United. At Manchester United, he set about increasing players’ discipline and also bringing new players in. After initial progress, by 1989-90, success still eluded Ferguson, and after losing to local rivals Manchester City 5-0, many fans were calling for his dismissal. However, he held onto his job and won the FA Cup at the end of the year. In 1992, after the purchase of Eric Cantona from Leeds United, Man Utd finally won their first league title (1992-93). Ferguson said Cantona was one of his greatest players. The following year, 1993-94 brought a double of Premier League and F.A. Cup. This led to two decades of success with several league titles, Cups and in particular, two European championships. 1999 and 2008. His strong and dominant personality has led to clashes with star players. He has been accused of losing his temper and kicking tea urns and football boots at players during half-time. However, although Ferguson is strict with players he has also retained their loyalty. Players like Ryan Giggs and Paul Scholes spending most of their playing career at Manchester United. Even superstars like David Beckham and Cristiano Ronaldo have retained an affection for Alex Ferguson. Some pundits say his strict discipline has helped prevent well-paid footballers go off the rails. He certainly has a great love of winning. Ferguson has often been in the headlines for his strident criticism of referees. He has been frequently brought to FA disciplinary panels to explain his conduct. He has also been accused of playing mind games with other managers, something he started when managing Aberdeen. Ferguson seems to like a bit of controversy to motivate his players. When he approached his 65th birthday, people wondered whether he might retire, but Ferguson showed no signs of losing interest and enthusiasm for the game. One of his greatest strengths is his sheer persistence in constantly rebuilding the side as players leave or retire. In May 2013, Alex Ferguson finally announced his retirement from football, aged 72. He left at the end of the 2012-13 season to widespread acclaim. He also had the joy of seeing Manchester United to their 13th title. His retirement was met with widespread acclaim, with many in the game stating they were unlikely to ever see the like of Alex Ferguson again. The year after his departure proved to be a bad year for Manchester, with David Moyes only able to lead Manchester United to seventh place. 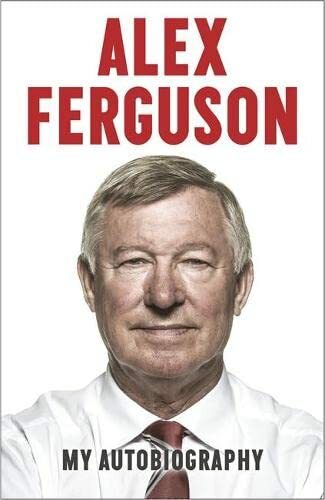 In October 2013, Alex Ferguson published his second autobiography – an explosive account of his time at Manchester United. He criticised many former players and managers, in particular, Roy Keane. Ferguson wrote the following: “The hardest part of Roy’s body is his tongue. He has the most savage tongue you can imagine. Outside of football, Alex has a passion for horse racing, owning many racing horses and frequently going to the races. He has three children. Alex Ferguson was knighted by the Queen in 1999.